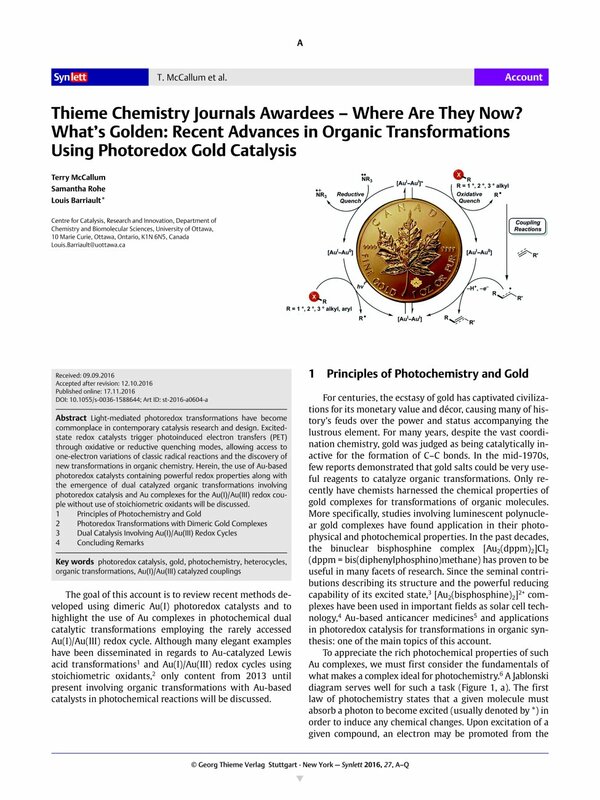 Light-mediated photoredox transformations have become commonplace in contemporary catalysis research and design. Excited-state redox catalysts trigger photoinduced electron transfers (PET) through oxidative or reductive quenching modes, allowing access to one-electron variations of classic radical reactions and the discovery of new transformations in organic chemistry. Herein, the use of Au-based photoredox catalysts containing powerful redox properties along with the emergence of dual catalyzed organic transformations involving photoredox catalysis and Au complexes for the Au(I)/Au(III) redox couple without use of stoichiometric oxidants will be discussed.